Sign brush is a casual, independent script typeface. 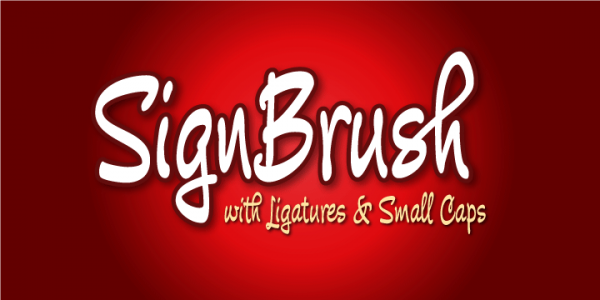 The brush script has been designed for creative sign painters. Sign brush font is highly suitable for work requiring instant attention. Hence, these are most often seen on supermarkets, packaging etc. The distinct typeface works really well for cards, captions, advertisements, invitations, posters, ads, greeting cards, book jackets etc.